A 60-second firing by Beresheet’s 100-pound-thrust main engine at 8:30 a.m. EDT (1230 GMT) Tuesday raised the apogee, or high point, of the spacecraft’s elliptical orbit around the Earth to an altitude of more than 250,000 miles (405,000 kilometers), according to SpaceIL, the non-profit group that heads the privately-backed lunar lander mission. 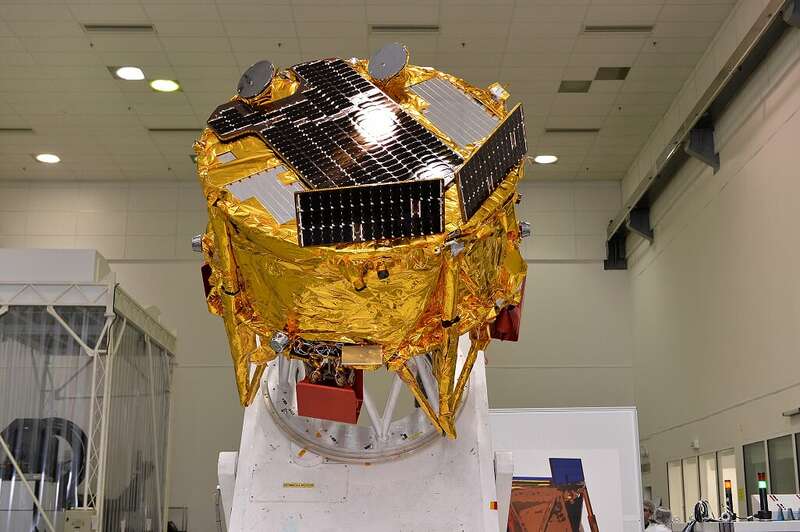 Since its launch Feb. 21 from Cape Canaveral on a SpaceX Falcon 9 rocket, the Beresheet lander has fired its main engine several times to raise its altitude closer to the moon. 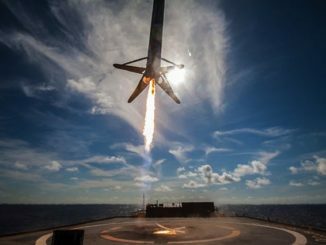 Beresheet, which means “genesis” or “in the beginning” in Hebrew, rode as a secondary payload on the Falcon 9 rocket, which delivered the lander, an Indonesian communications satellite and a U.S. Air Force smallsat to an egg-shaped supersynchronous transfer orbit ranging as high as 43,000 miles (69,000 kilometers) from Earth. 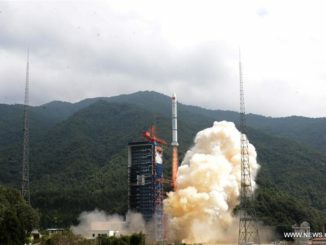 The Indonesian Nusantara Satu communications satellite and the Air Force’s S5 space surveillance craft maneuvered into geostationary orbit over the equator, while Beresheet began orbit-raising burns to head for the moon. Beresheet’s British-built LEROS 2b main engine, a modified version of an engine designed for commercial satellites, has conducted four orbit-raising firings since launch. Ground controllers identified an issue with the spacecraft’s star tracker cameras shortly after launch. The cameras are used to locate the positions of stars in the sky, helping determine Beresheet’s orientation in space. SpaceIL says the star trackers are too sensitive to blinding by bright sunlight. With its four landing legs extended, Beresheet has a diameter of around 7.5 feet (2.3 meters), and measures 4.9 feet (1.5 meters) tall. 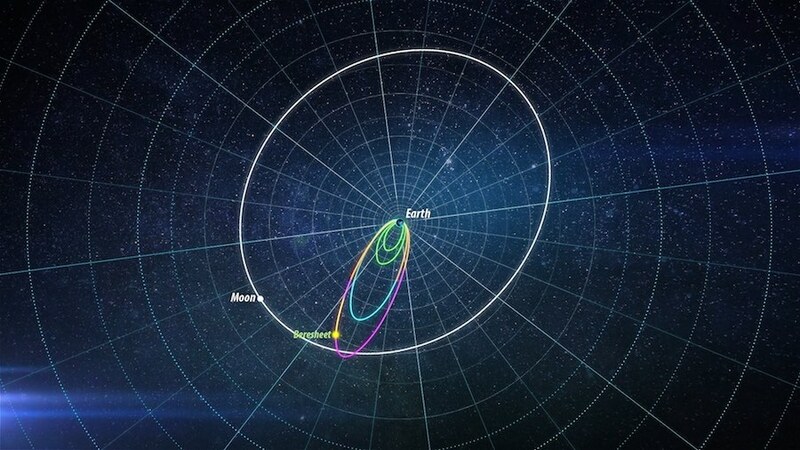 Beresheet’s main engine will fire again April 4 to steer into a preliminary orbit around the moon, followed by additional rocket burns to spiral closer to the lunar surface, setting up for landing April 11 on the moon’s Mare Serenitatis region. The landing site is in the northern hemisphere of the moon’s near side, where cameras will capture panoramic views of the lunar surface, and a science instrument will measure the magnetic field. NASA also provided a laser reflector on the solar-powered spacecraft, which scientists will use to determine the exact distance to the moon. The U.S. space agency is also providing communications and tracking support to the mission, and the German space agency, DLR, provided facilities for Israeli engineers to simulate Beresheet’s landing on the moon. 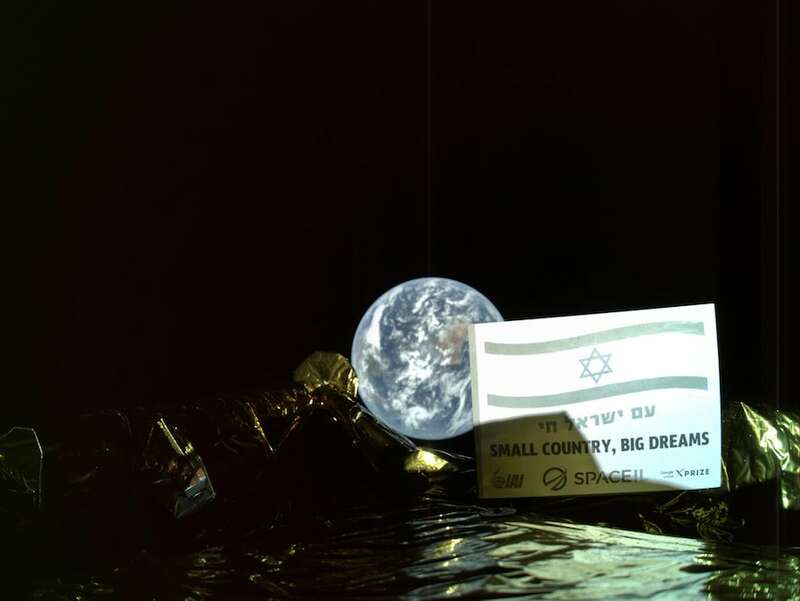 But Beresheet is privately-funded, and the mission aims to become the first to reach the moon without government backing. 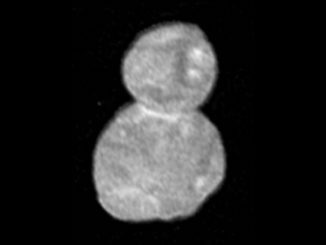 Billionaire philanthropists supported the $100 million mission’s development through financial contributions.